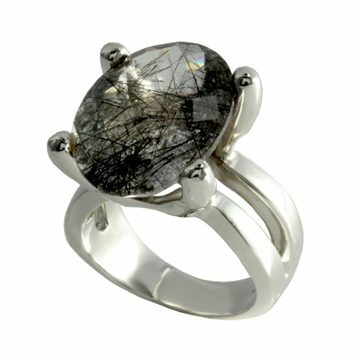 20 x 15mm oval black rutile quartz. All semi precious gems are selected for Bakalian designs. This pieces was designed and produced by BB Designer Jewellers.